Our partner organisations have successfully planted more than 170,000 trees in the Kaffrine region and southeast Senegal. Also in Kaffrine, 500,000 Jatropha Curcas seedlings were sold. 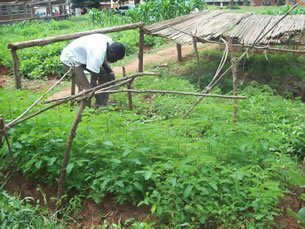 In the southeast region of Kedaougou, local farmers have worked with our partner organisations in developing the agroforestry demonstration site, designed to train farmers and ensure economic stability for those communities. In common with many countries throughout Africa, Senegal is a country rich in culture, but a country where its people struggle to survive. Many of Senegal’s population face poverty, malnutrition and desperation daily. Over seventy percent of Senegal’s population live in rural areas and depend on agriculture for their livelihood and survival. Their dependency on this industry puts them at the mercy of Senegal’s variable rainfall, poor soil conditions and pest control, problems further compounded by a changing global climate. Over fifty percent of Senegal’s forests have been stripped back to supply the increased demands for building materials and fuel. Widespread poor farming practices, overgrazing, alongside uncontrolled slash-and-burn cycles and peanut farming have damaged the land immeasurably. As the Sahel expands as the result of this deforestation the terrible experience of severe droughts spreads throughout the country. 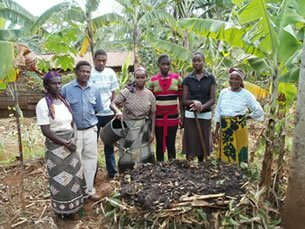 A key focus of our projects has been the teaching of sustainable agriculture practices. This approach has gone hand in hand with tree planting in the hope that many issues will be addressed: from social to economic, alongside long-standing environmental concerns. The programmes continue to expand quickly and already the benefits of our projects are bringing fresh hope to local communities. Planting a variety of species has improved the soil quality and is making once arid areas fertile again. Alley cropping, multipurpose windbreaks and live fences are changing lives. 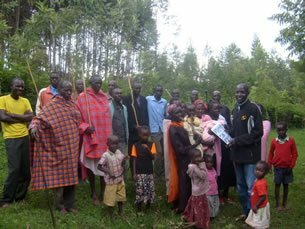 New income streams are now being explored through the introduction of agroforestry projects, and forest gardens are increasing in popularity as farmers see the ongoing benefit of tree planting.